Anhalt Dance Hall, orginally known as the Germania Farmer Verein or German Farmer's Club. The Verein organized in 1876 and in 1887 built the first meeting hall, which was enlarged in 1896. In addition to the annual spring and harvest festivals held here, it is used for a variety of music venues. This dance hall addition was added in 1908 for a cost of $2500. 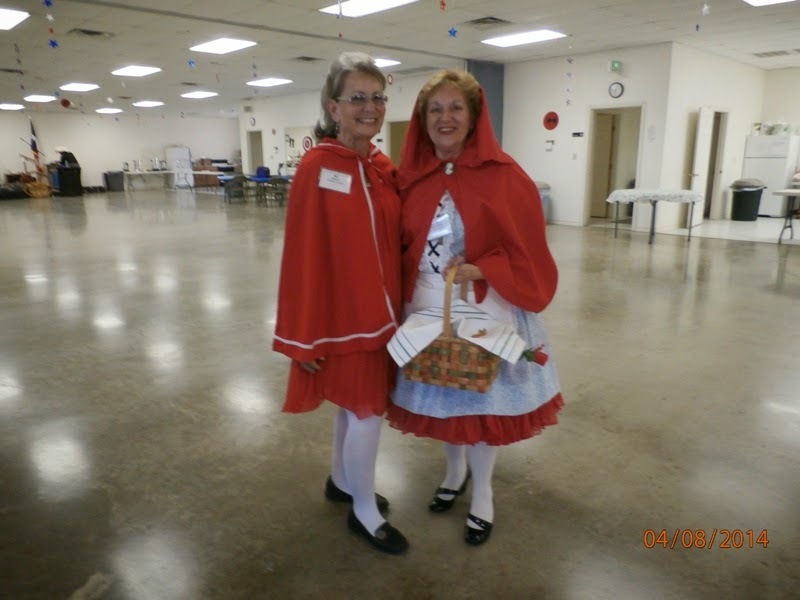 We were attending the Cajun Fest 2014. I don't think they enforce this anymore. I guess you better not be provocative out there on the dance floor or you will get kicked out. And of course, we had to have some crawfish. Traders Village in San Antonio was host to the Cajun Festival put on by the Medina Lake Community Association. Kevin Naquin and the Ossun Playboys played some awesome music that day. Max and I went to Boerne, TX, to visit our friend, Tom Cassidy. Sadly, I must report that Tom lost his battle with lung cancer on May 13, 2014. I'll miss you Tom, but I'll remember the good memories, especially of the travels out east in 2011-2012. Tom Cassidy. Rest in Peace. Since I have posted about the dance rally in Bandera previously (check out my blogs in April for the past 5 years), I'm just going to post the highlights of this year. After leaving Beorne, Max and I took a wildflower viewing trip and here are a few of the sites we saw. The Texas Bluebonnets were blooming everywhere this year. Everywhere you turn, there are dance halls. Even the little town of Sisterdale, population can't be more than 100, has a dance hall. Of course it was locked up and I could only look through the windows. They also claim a 'historical bar'. It was early in the day and it wasn't open either. I wonder what made it 'historical'? On our way back to Bandera and decided to stop for lunch. A number of the people attending the dance rally had come here for dinner the previous Saturday night, but I went to a dance at Leon Springs Dance Hall. And last year, the group came out here, also, but again, I didn't make it. So, this was my first time to visit this iconic bar and grill in Center Point, TX. They have a small stage and dance floor. When they have a band, it usually plays Jimmy Buffet style music. They try to make you feel like you are in the tropics, instead of Texas, and they do a good job. The first evening dance of the dance rally was Super Heroes or Comic Book characters. Wonder Woman and the Supermen and Superwomen. 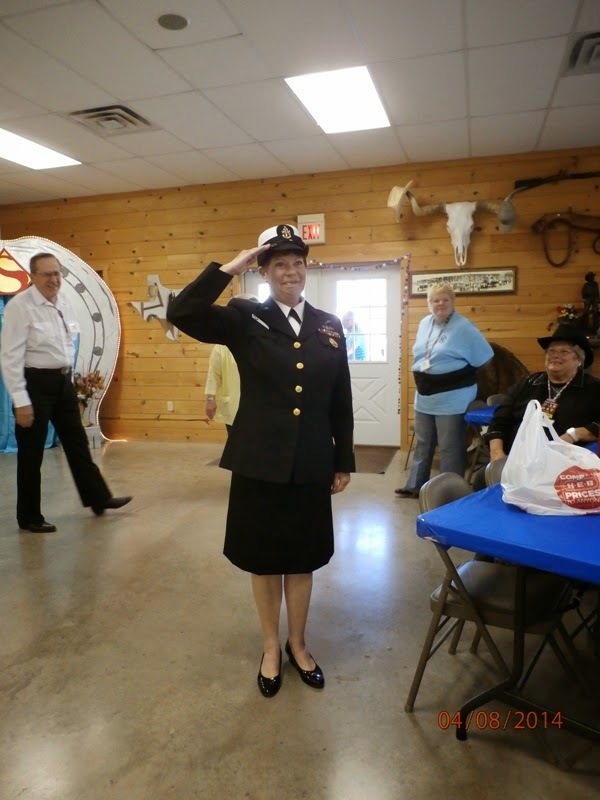 Pepper came as a real life hero, dressed in her Navy Dress Blues. She got a standing ovation for representing all those real life heroes who are out there defending our country, in the past and still today. 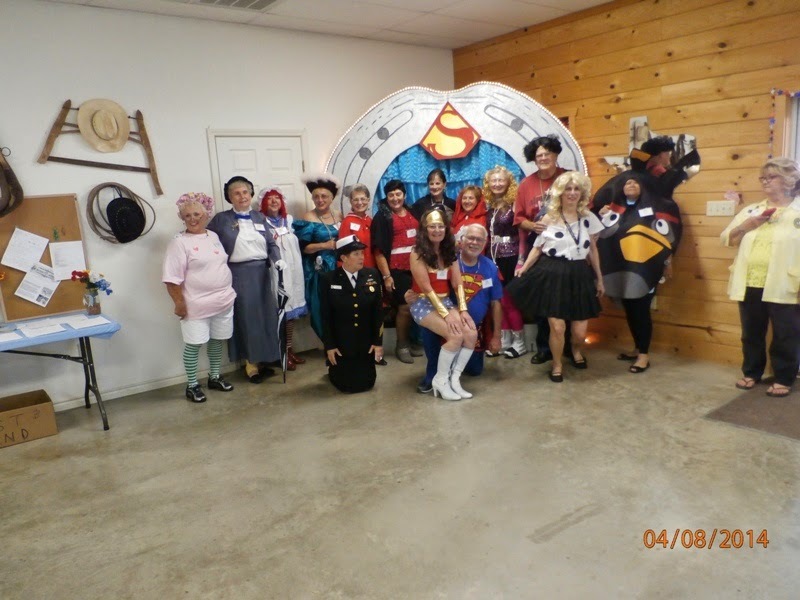 Just a few of the great costumes for Super Hero/Comic Book character night. The dance rally isn't just about dancing. One morning about 8 of us loaded up our bikes and headed to the Lyndon B. Johnson Ranch. Lots of backroads to bike on. We did a 12 mile bike ride. And then we stopped at Alamo Springs Cafe for lunch. If you've never been there, they have one of the best burgers ever. This must have been during a band break, no one is dancing. 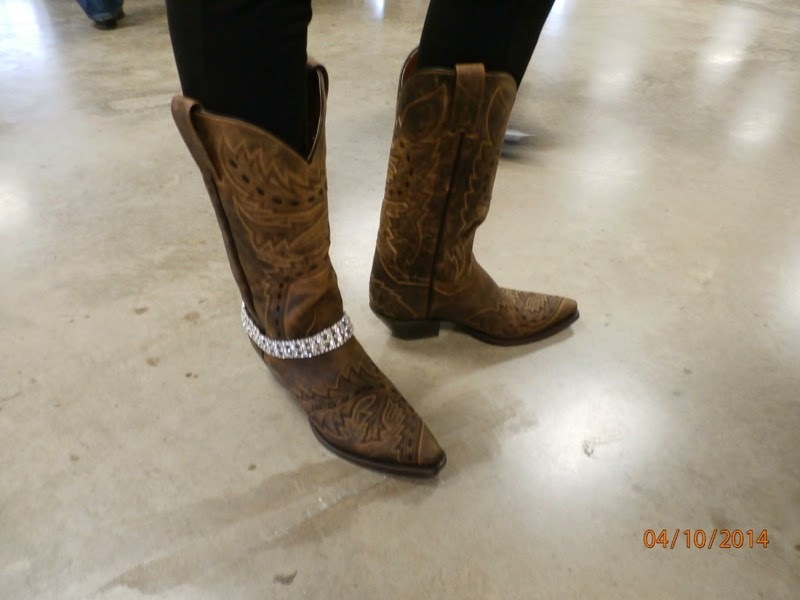 Carleen's new boots and her boot bling! Everyone, especially the ladies, always enjoy getting dressed up for one dance night. 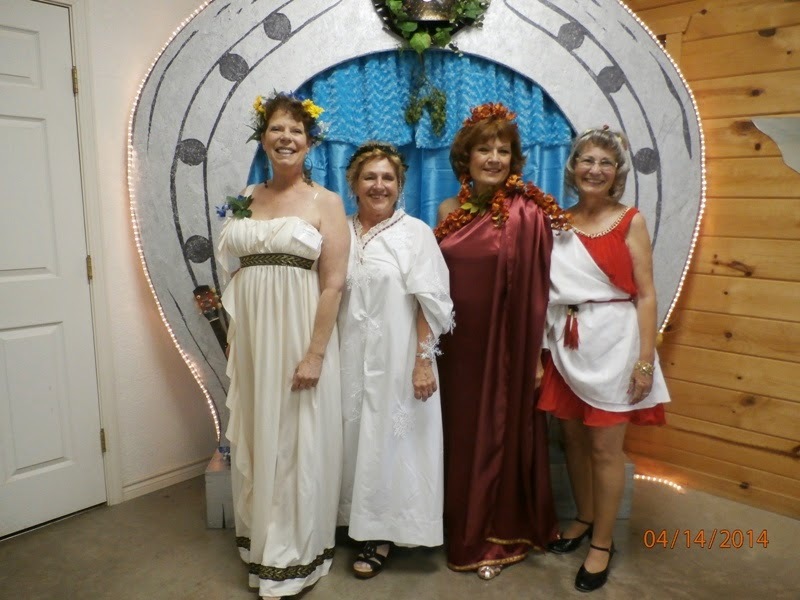 The four seasons in toga. 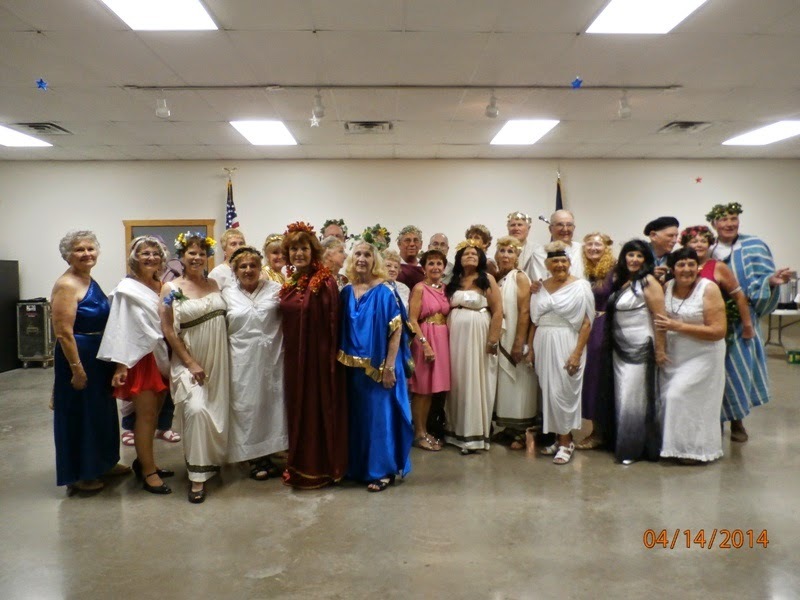 I didn't know you could come up with so many variations of toga's. And so ends another great dance rally in Bandera, TX. In 1946, this store opened as a bar, cafe, grocery and dance hall. It is still in operation today, bringing in some of the best bands in the area. Mike and the Moonpies were playing this particular Thursday evening and some 20+ of us showed up to dance. They have a large outdoor venue, too. Mike and the Moonpies. Just a note: this was in April 2014. In May 2014, somewhere in the Ft. Worth area, Mike and the Moonpies had their van and all their equipment stolen. Fundraisers have been organized and different people and companies have donated equipment and funds so they can continue their music. I sure hope the thieves are caught.